Walk into any gym around the world these days and there’ll be a line up for the mirror as jacked up shirtless individuals get the perfect selfie for Instagram. But over in the distant corner, large but unassuming, is a big man who comes in everyday and gets the job done without a fuss. Imposing, all natural and capable of benching more weight than the rest of the posers could ever dream of. 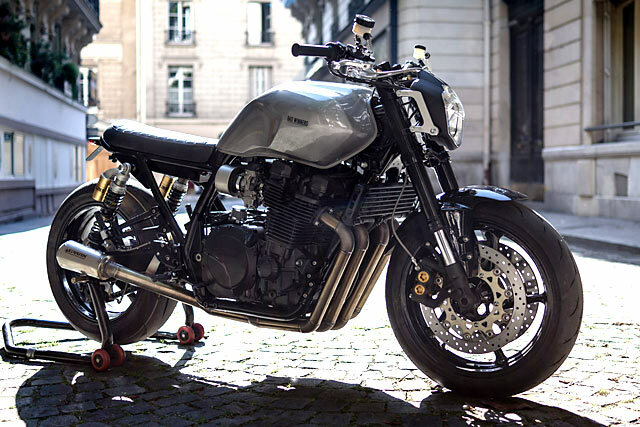 In the motorcycle world that individual is the Yamaha XJR1300 that still relies on classic looks and a big cube air-cooled engine to fill an important niche in the company’s line up. But Walid from Bad Winners in France decided it was time to show the juice heads what real muscle is all about and has turned this 2005 example into a brutal beast he calls The Arm Breaker. 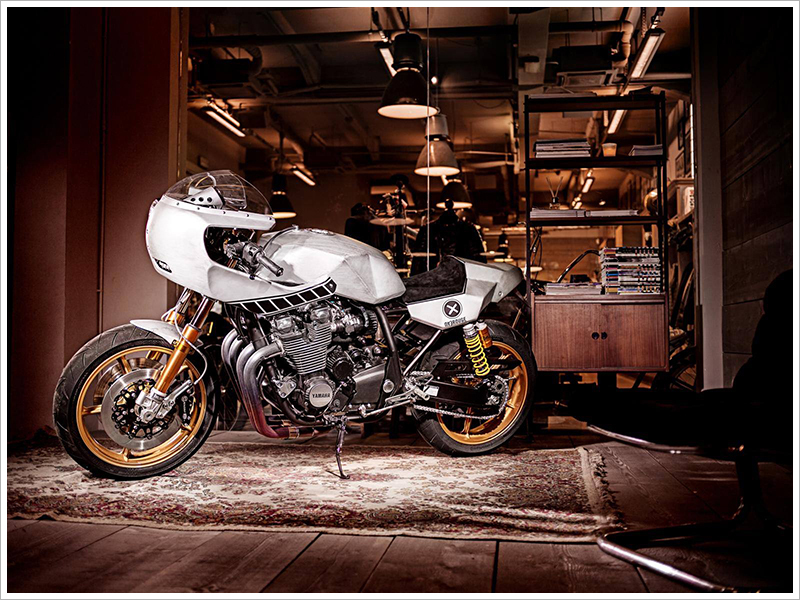 Old world craftsmanship, timeless quality and innovation in design are two things that go hand in hand with both the Yamaha Yard Built Specials and Shinichi Haraki’s Iron Heart Selvedge Denim range. 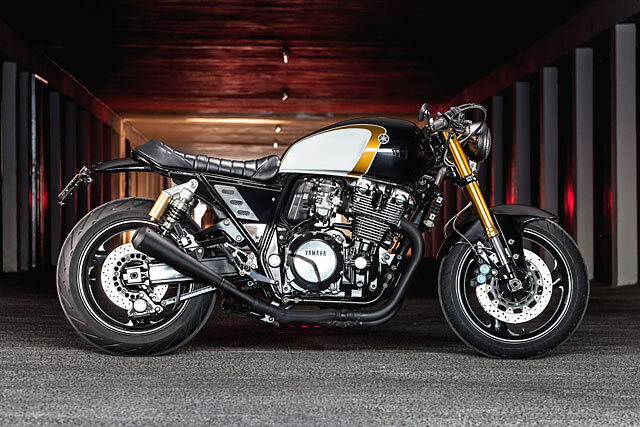 With the all new 20th Anniversary Yamaha XJR1300 part of the Yard Built program and Iron Heart a company dedicated to providing the very best in denim and jean wear to the motorcycling world it made sense the two would team up. 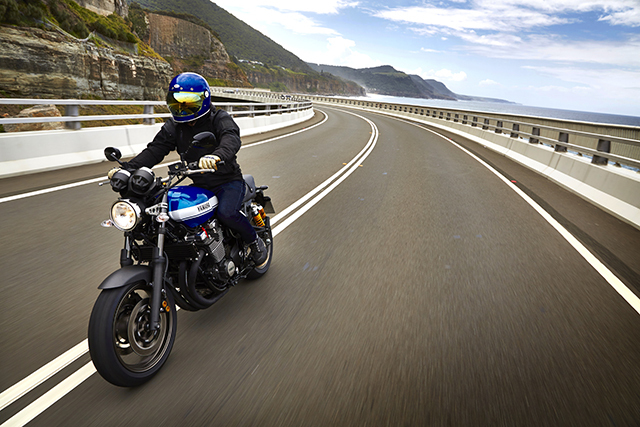 A little while back I received an invitation from Yamaha to the XJR1300 European press launch. Naturally, I was thrilled to be part of it and sent back a RSVP with the requested passport information saying I would love to be involved in the European launch. 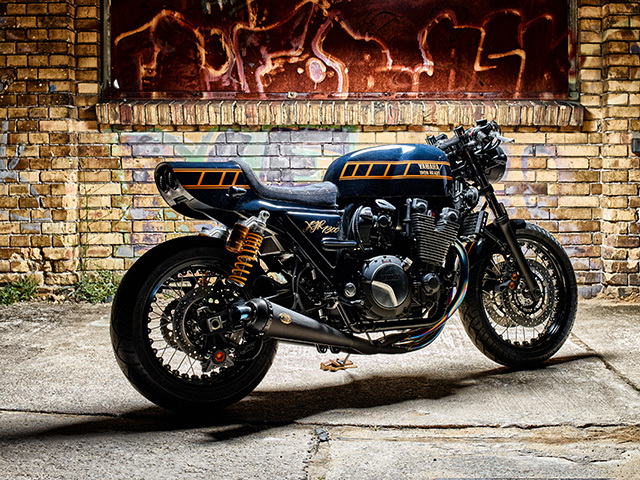 So my mind wanders off, picturing where we would be riding the XJR? Maybe we would be taken on the legendary German autobahn where pesky speed limits have been slain? Or perhaps we’ll disappear down the picturesque Amalfi coast with the Mediterranean breeze flowing in my locks? Or could we be taken up one of the most famous and photographed roads in Italy, the Stelvio Pass, with its endless hairpin turns? Then reality hit when I finally read the details of the invitation. The launch was actually going to be held in Sydney, Australia! What? That’s where I live. So after the initial disappointment, I realised being a native could actually come in handy while doing the press ride, like being comfortable riding on the left hand side of the road… but more on that later. It’s a fantasy that every road bike owner must have had at some time in their lives. 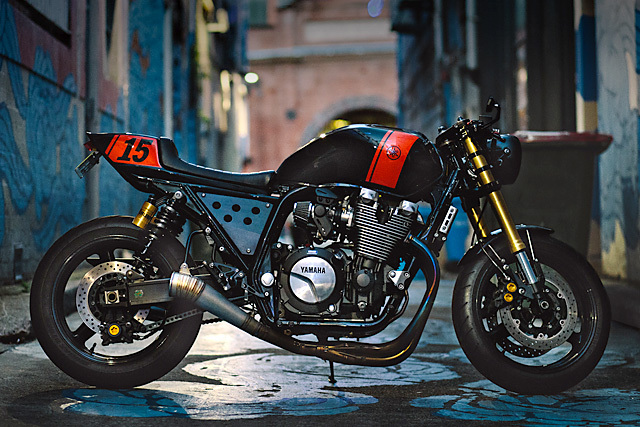 ‘What if I could build a bike that was invisible to radar?’ The thought of those charming boys in ‘law enforcement’ totally unable to get a reading on you as you glide through your favourite set of corners. And not at a speed calculated to be ‘safe’ for everyone from the tanker truck full of petrol to the little old lady with failing eyesight, but instead at speed that perfectly suits your skills, the bike’s performance and the conditions of the day. It’s what the afterlife must be like. 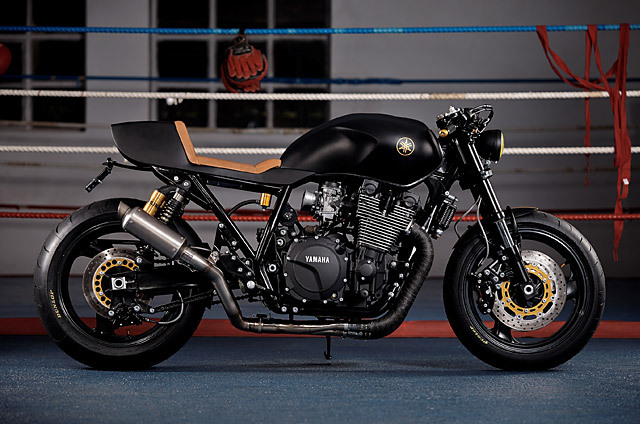 The afterlife and whatever inspired the owner of this beautiful Yamaha to brief her builders, Portugal’s It roCkS!bikes, to turn his stock XJR into the two-wheeled equivalent of a Stealth Fighter you see here.